And then I poop ’em out. 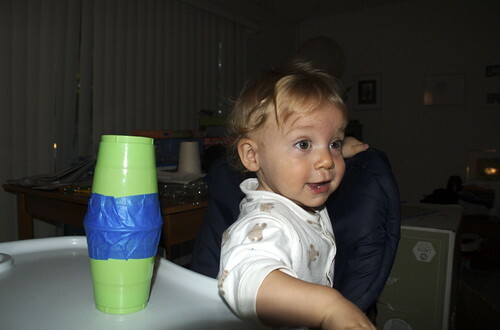 For Little T’s first birthday, M made him this rattle out of cups, pop-corn kernels, and painters’ tape. He loves it! (but not quite as much as the Rocket Ship she made ealier this week).